According to local authorities in eastern Khost province of Afghanistan, at least six people were killed after unknown gunmen attacked the residential house of Spera district early Sunday morning. Head of the provincial media department Mohammad Mubarez Zadran confirming the report said at least six people including brother of Spera district chief and his five bodyguards were killed. 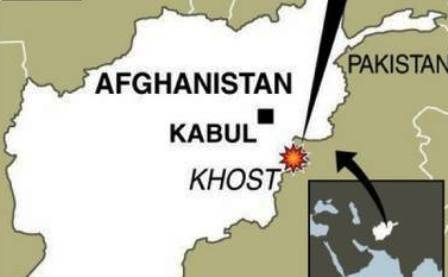 Khost is among the relatively peaceful provinces in eastern Afghanistan, where fewer insurgency activities are taking place despite the province shares border with Pakistan’s Northern Waziristan which is the main hub for Pakistani militants.